I love the overlaps 'specially. So cool. Very creative. 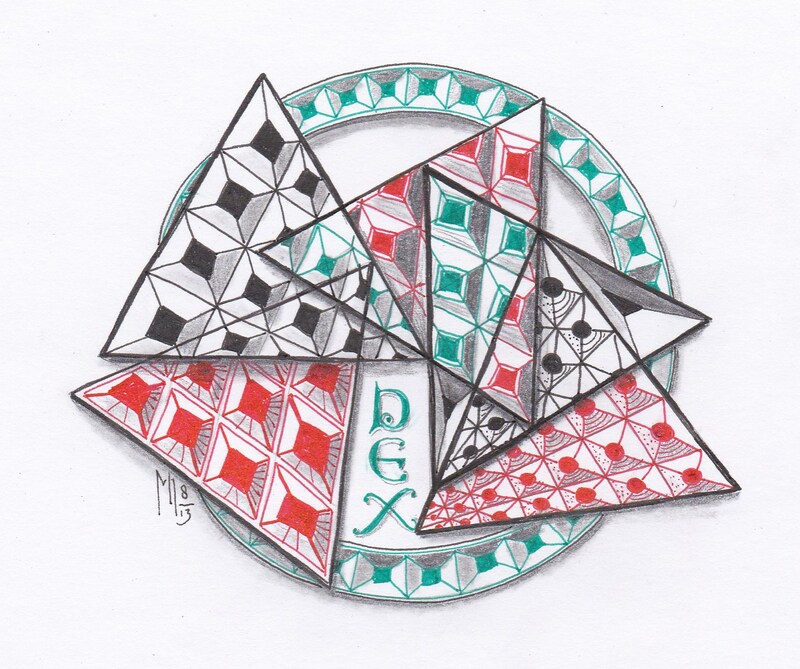 I like how the colors change as the triangles crossover each other. You are incredibly creative and imaginative! And I am in love with your calligraphy! Nicely done - like the addition of color. I like the variations on dec here. great shading. I love the precision of your design - awesome! I love your use of colour, really vibrant. Joyful and full of delight. een van de beste die ik gezien heb zelfs. ik vond het een erg moeilijk pattern voor een mono. Very creative. Like the overlapping triangles and the color. Slim gevonden om het zo te doen en leuk met die kleurtjes! Love the directions and the color! Nice work!